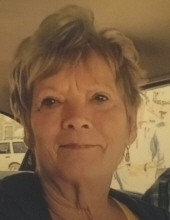 Helen Lorraine Beeson, age 72, of Ash Grove, Missouri, passed away on Thursday, January 24, 2019 in Mercy Hospital, Springfield, Missouri. She was born on December 21, 1946 in St. Louis, Missouri, the daughter of Henry C. Sissom and Thelma Louise (Grenia) Sissom Johnson. Helen was a wonderful woman. She loved spending time with her children and grandchildren, and always sacrificed her needs for the good of the family. Helen was the rock and foundation and served as caretaker and peacemaker to all. She never let anyone stay a stranger for long as everyone she met became family to her. Helen loved being outdoors, cooking, gardening, and going to the casino. She will be greatly missed by all those who loved her. Helen is survived by her long time soul mate, Rick Hicks; her sons and their spouses, Steve Anderson, Tim and Kim Anderson, David and Lisa Anderson, Roger and Shelly Wilcox, Bret and Michele Hicks, and Shannon Hicks; ten grandchildren, Amber, Aaron, Bethany, Kristen, Kellie, Kristie, Kinadie, Kolsen, Kenley, and Kolbie; many other step children, and step grandchildren; five sisters, Virginia (Lonnie Cummings) Steadman, Darlene Killough, Lillian (Lowell) Curtis, Geraldine Sissom, and Brenda Midkiff; and a host of many more family and friends. To send flowers or a remembrance gift to the family of HELEN LORRAINE BEESON, please visit our Tribute Store. "Email Address" would like to share the life celebration of HELEN LORRAINE BEESON. Click on the "link" to go to share a favorite memory or leave a condolence message for the family.